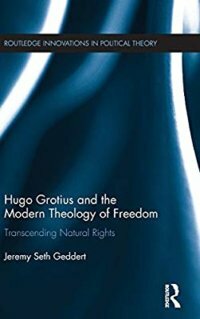 Hugo Grotius and the Modern Theology of Freedom: Transcending Natural Rights. Jeremy Seth Geddert. New York: Routledge, 2017.